Premium Label Re-Winder and Un-Winder. Rewinds and unwinds labels as needed. 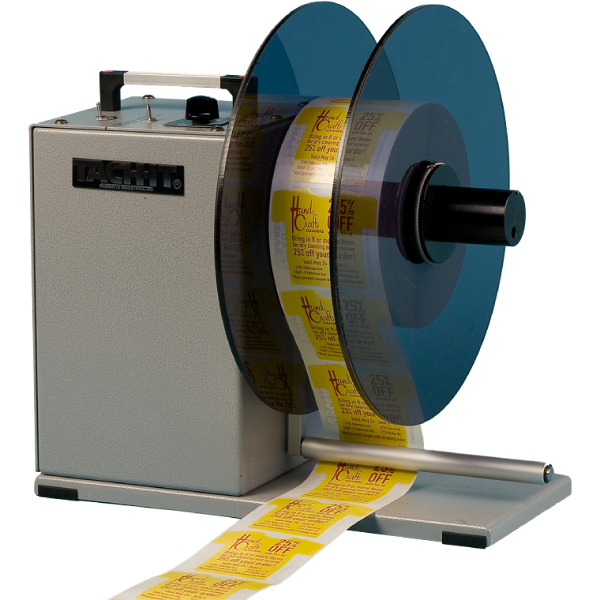 Used in conjunction with thermal transfer printers and other label printing and applicating equipment. 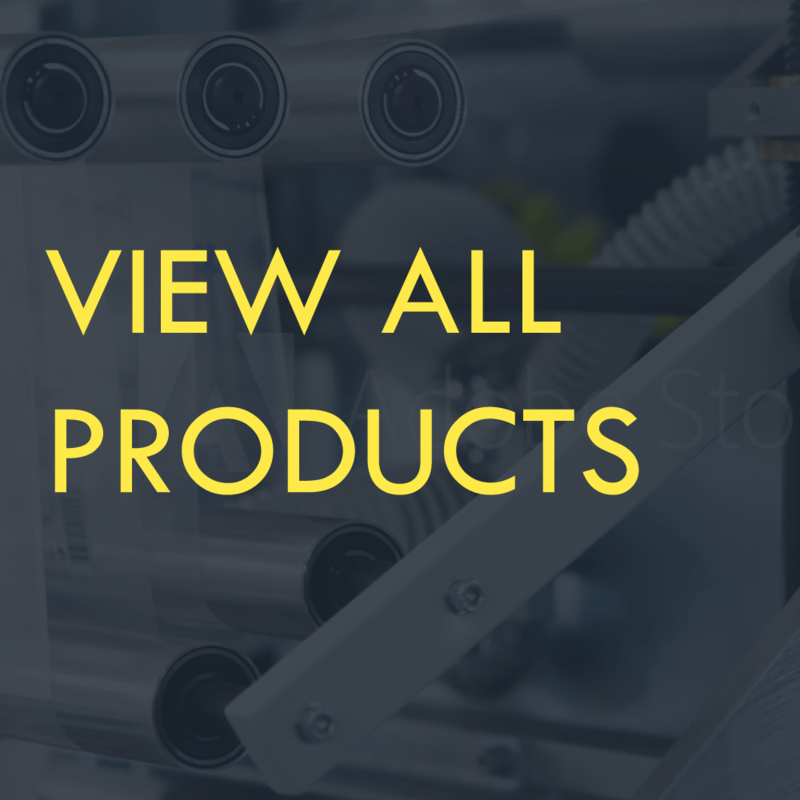 Perfect for pharmaceuticals, medical packaging, retail, manufacturing, industry, food service or anywhere labels are created and used. Variable speed motor and dancer arm helps avoid label liner breakage and creates a consistently wound roll. Quick release roll guides, small table top design and easy to use. 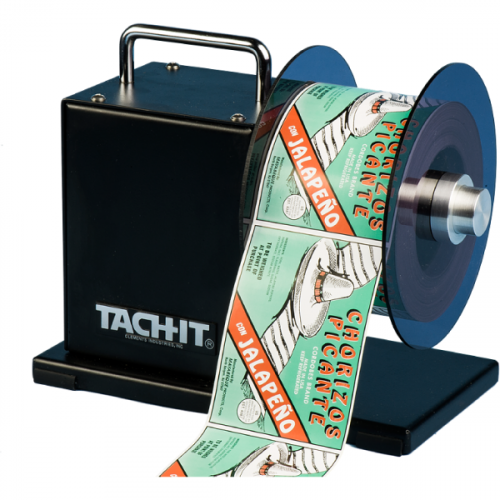 The Tach-It Model SH-450 Label Re-Winder/Un-Winder is perfect for rolling fan fold or computer printed and generated labels. Easy to operate, the variable speed motor can reach speeds up to 240 RPMs. 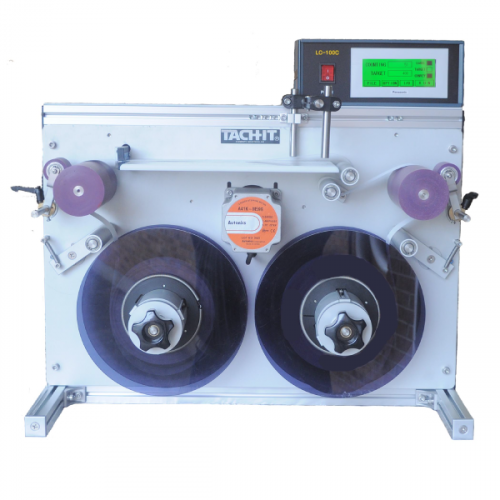 Our Tach-It Model SH-450 is equipped with a dancer arm, which eliminates liner breakage. If tension forms on the web of the labels as they are winding or unwinding, the motor stops until slack is present. This results is consistently wound and unwound rolls with no liner breakage. Extra large flanges for large roll diameters up to 12 inch, the ability to wind or unwind onto a 3 inch core, works with labels up to 4 1/4 inch wide, technologically advanced components, toggle selection for motor direction, and heavy duty construction are all advantages of this machine.